Grapes were sourced from the Willamette Valley and Hood River Valley (Phelps Creek Vineyard). We felt that most Oregon Pinot Noirs lacked length and structure and by adding grapes from a slightly warmer climate, such as Hood River, we could overcome this dilemma. Cool climate high acid provides that solid grip required for a good Pinot Noir. 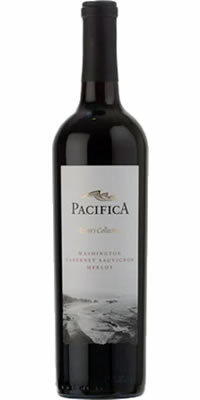 The Willamette Valley contributes the raspberry and red cherry flavours and minerally finish. From Hood River provides the lovely black cherry flavours and grapes that contribute to the length and weight of the wine. Soft but firm this is no doubt an Oregon Pinot Noir. The season was very cool and long. Grapes were harvested about three weeks late…in perfectly ripe condition. A nerve wracking season that required a lot of patience. Bottled with Diam cork closures and available in 6 x 750ml cases.